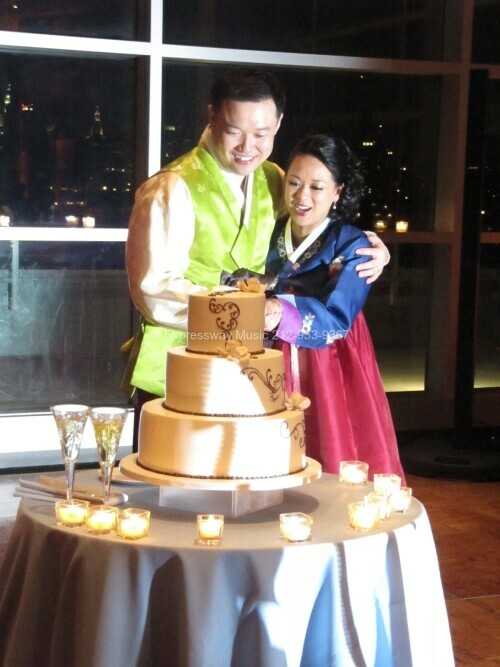 Tammy and Rich were married Friday night at Abigail Kirsch wedding venue Steiner Studios at the Brooklyn Navy Yards. It was a spectacular wedding with some of the most amazing dancers(guests)!! 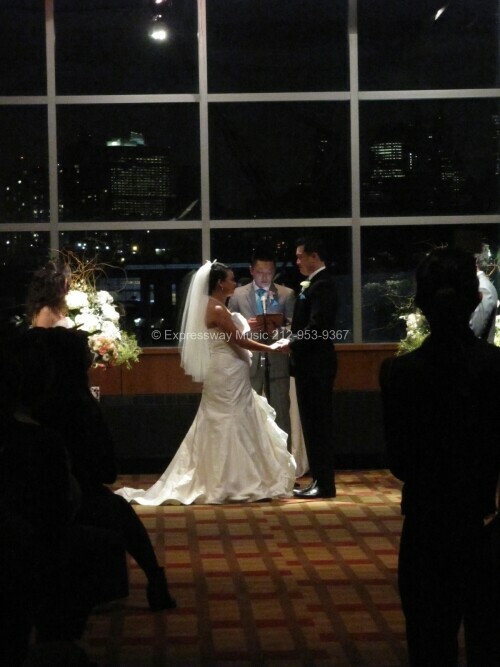 The Bride and Groom are talented Ballroom/Salsa Dancers and so were there guests!! Check out the video below!!! Here is such a nice 5 star review that Tammy (bride) posted on Yelp! 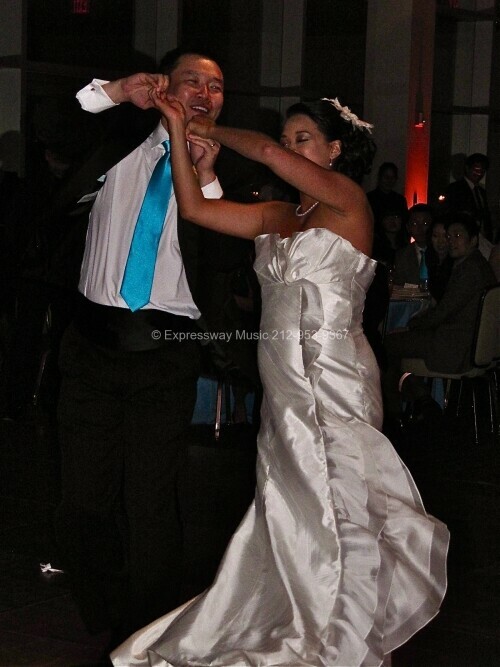 Expressway Music made our wedding stress free and so easy! 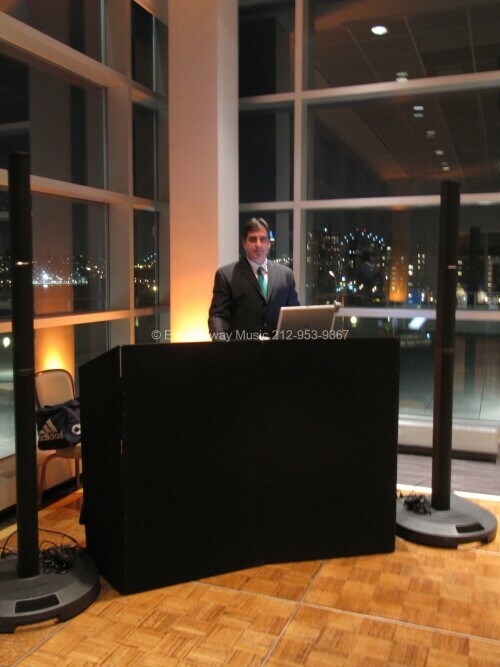 David Swirsky came highly recommended and was able to work with our eclectic group of guests and their tastes, including some nice salsa dancing music that we requested. We felt comfortable from the first moment we spoke and Dave was exceptionally thorough. The staff was on top of it all and very professional, especially Charissa. The string trio was a lovely touch and very good and flexible. 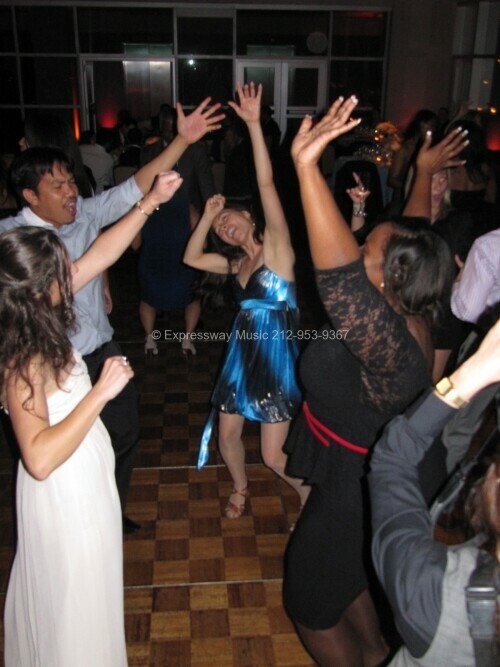 Our guests had a blast dancing to the classy, fun and energizing music. I even got to see my brother and co-workers dance who I never imagined would! I didn’t want the night to end! I highly recommend their work.